Students can now register for two crucial upcoming careers fairs that are set to take place in the Crypt Hall of Liverpool Metropolitan Cathedral on Wednesday 17 and Thursday 18 October 2018. The Fairs are your opportunity to talk to employers about paid internships, undergraduate placements and graduate opportunities. Many of the graduate, placement and summer internship schemes have already started to accept applications and will be closed by Christmas. Some of the most sought after schemes have deadlines this month. More than 120 recruiters will be visiting the campus across the two days to meet students from all degree courses and years of study. The Liverpool Business Finance and Law Careers Fair is taking place on Wednesday, 17 October, with the Liverpool Science, Engineering & Technology Careers Fair taking place the following day on Thursday, 18 October. Both events will run from 10.30am – 3.30pm. Attendees should access the Crypt Hall via the entrance on Brownlow Hill. 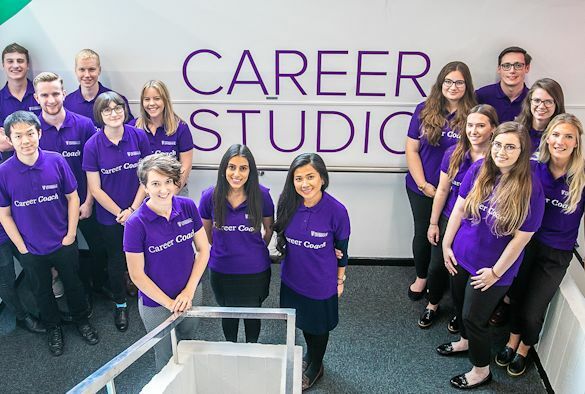 Careers Fairs are a great way to find out more about the opportunities available, the recruitment process, and to pick up tips directly from recruiters on what they look for in applicants. More than 70% of the opportunities being promoted over the two days will be open to students from any course. To find out more and register your place at the Careers Fairs, please visit Career Hub.